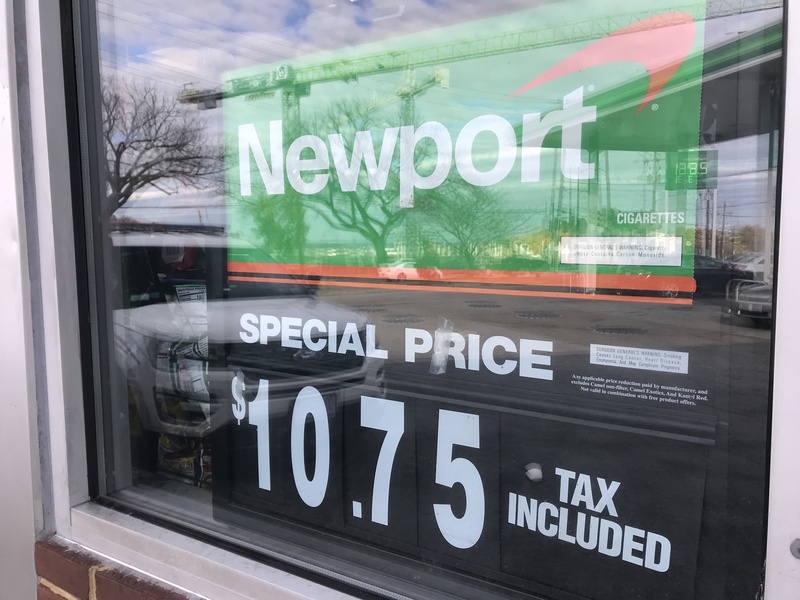 The sign on the window of a BP gas station in Southeast Washington advertises a pack of Newports for $10.75. Few customers were willing to pay that much. But several men in the gas station’s parking lot had better luck illegally hawking single cigarettes for 75 cents. The drop in legal sales and spike in black market “loosies” are the result of $2-a-pack increase in cigarette taxes that took effect last month, making the nation’s capital one of the most expensive places to be a smoker. The total taxes add up to nearly $5, doubling the price of a pack. The District now levies higher cigarette taxes than 50 states. But a combination of city and state taxes has made smoking more expensive in New York City, Chicago and several other cities. The District also raised the legal age for purchasing tobacco from 18 to 21. Anti-tobacco advocates hailed the higher legal age and the tax increase as ways to discourage smoking. But retailers say the city has instead encouraged the black market and sent customers outside the city. Shoukat Choudhry, the owner of the BP and four other gas stations in the city, says he does not see whom the higher taxes are helping. His customers can drive less than a mile to buy cheaper cigarettes in Maryland. He says the men in his parking lot are selling to teenagers. And the city is not getting as much tax revenue from his shops. Cigarette revenue at the BP store alone fell from $63,000 in September to $45,000 in October, when the tax increase took effect on the first of the month. “The first two days, they would throw the pack back and say, ‘Come on, you are ripping us off,’ ” said Choudhry, who has been in the gas station business for 18 years. Citywide figures for cigarette sales in October — as measured by tax revenue — will not be available until next month, city officials said. The District projected higher cigarette taxes would bring in $12 million over the next four years. Proceeds from the tax revenue are funding maternal and early childhood care programs. The Campaign for Tobacco-Free Kids says the fear of declining tax revenue because of black market sales has not materialized elsewhere. “Every time tobacco taxes are raised significantly in states, we see two things happen: Smoking rates go down, especially among youth, and revenue goes up,” said John Schachter, a spokesman for the group. But critics of the tax increase say the District is unique because of how easy it is to travel to neighboring Virginia, which has a 30-cent tax, and Maryland, with a $2 tax. “What person in their right mind is going to pay $9 or $10 for a pack of cigarettes when they can go to Virginia?” said Kirk McCauley of the WMDA Service Station and Automotive Repair Association, a regional association for gas stations. 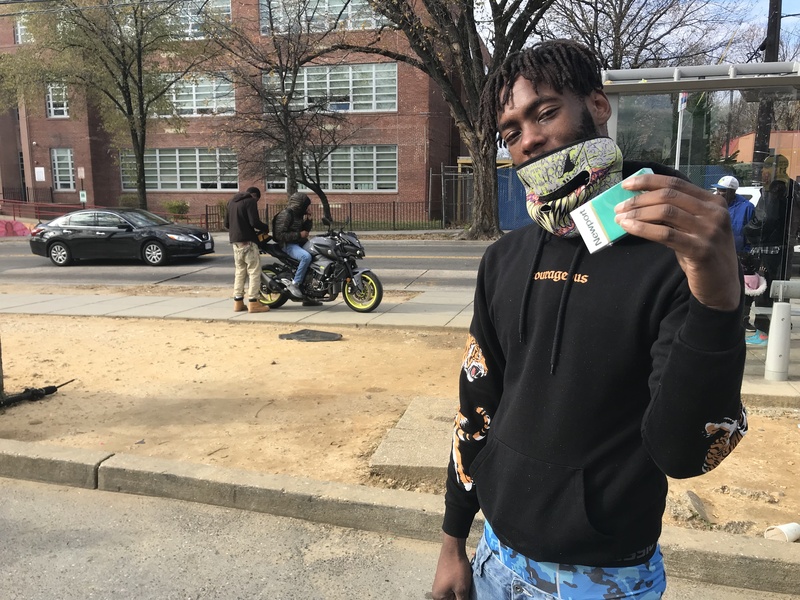 Charles Debnam, a cessation manager for the anti-tobacco organization Breathe D.C., called the prospect of a surge of new tobacco customers in Maryland and Virginia an “old story” and said the higher taxes would help stop a new generation of smokers. The new laws seem to be having their intended effect on Meosha Jones, an 18-year-old Southeast D.C. resident. She says that she can no longer buy from a few corner stores because of the increase in the legal age to purchase and that she knows people who make the trek to Virginia for cheap cartons. Several longtime smokers said the higher price has not made them rethink their habits yet. 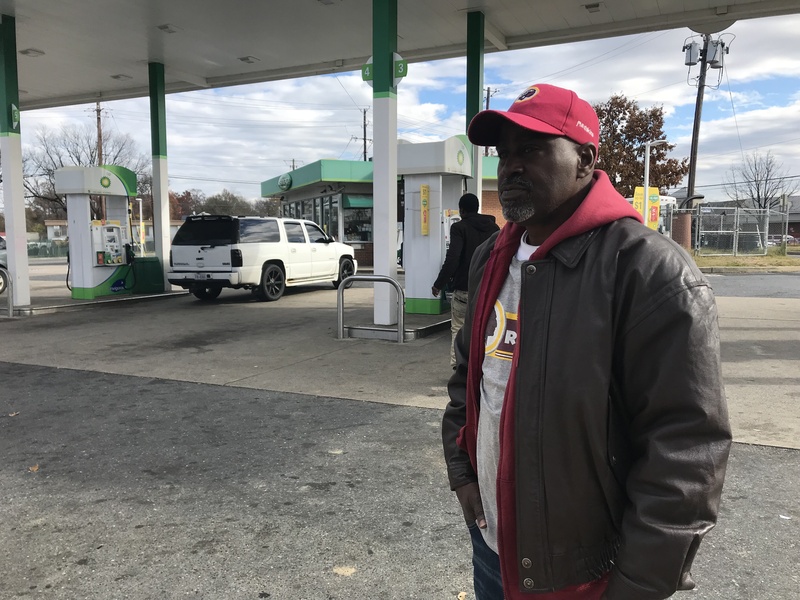 Ronald Jackson, who declined to buy a loose cigarette from the BP parking lot, says he saves money with a quick drive to Maryland to buy five cartons of Newport 100s, the legal limit. Denise Loring, 63, says the higher prices drove her to buy more loose cigarettes. The cigarette tax increase this year, the first in the District since 2009, came as a surprise. A D.C. Council committee rejected the increase in the spring, but council member Vincent C. Gray (D-Ward 7) revived it as a proposed amendment to the budget. The tax passed 10-2. A lobbyist for Altria, the parent company of tobacco giant Phillip Morris, described her efforts to kill the tax as “fail[ing] miserably” in a disclosure report. Anti-tobacco advocates have pushed new restrictions in an attempt to improve public health, especially amid the rising popularity of e-cigarettes, which are also subject to the D.C. tax. Adult smoking in the District has been declining; fewer than 15 percent were smokers in 2017, according to local health data. Illegal cigarette sales continue to be a vexing issue for anti-tobacco advocates and cigarette retailers who say they have struggled to get police to take the issue seriously. The D.C. Council originally set aside money from the cigarette tax increase for two police officers to crack down on illegal sales outside of stores. But that funding was removed amid concerns about excessive enforcement and that it would strain police relations with the community. On a Tuesday morning, Choudhry, the owner of the Southeast BP, stopped a police officer who was filling up his motorcycle at the BP station to point out a group of men selling cigarettes in his parking lot. The officer drove off without action. Dustin Sternbeck, a spokesman for D.C. police, said officers responded to seven reports of illegal cigarette sales at the gas station since Oct. 1. In one instance, police asked a man to leave the property. “I haven’t seen any data to suggest we’ve seen an increase in illegal street sales as a result of higher cigarette taxes,” said Sternbeck. The amateur sellers say the higher cigarette tax has not been a bonanza for them. They upped their price a quarter for a single cigarette, which some customers will not pay. And they are in a game of cat-and-mouse with law enforcement as they move from bus stops, where WMATA police have jurisdiction, to sidewalks. An older man who gave his name as Mike said the tax hike has been a wash for him. He has new customers who do not want to pay full price at gas stations, but others will not cough up an extra quarter for him either. On a good day, he can pull about $70 in profit. Fenit Nirappil covers D.C. government and politics. Before he joined The Washington Post in 2015, he covered the California statehouse for the Associated Press and suburban government outside Portland, Ore., for the Oregonian.